Mikhail Shelukhin was born on 23 March 1971 in the village of Rogachevo, Moscow district. 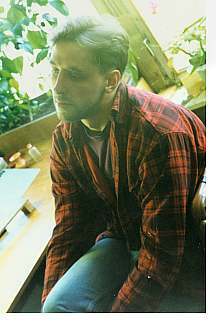 In 1992, he graduated Fedoskino art school. Some of his works are on display at the Museum of Folk Art in Moscow (Delegatskaya Museum). Outside Russia, particularly in France, Holland, Spain and the U.S. his works are becoming more popular with each year. Shelukhin's style is very unique to the village of Fedoskino where he often uses characters and scenes taken from the early 20th century and which are presented in a colorful art nouveau-like style. In addition to lacquer miniatures, Shelukhin does oil paintings. Still lifes are one of his favorite subjects in that medium. Shelukhin lives in Marfino (not far from Fedoskino) and likes to read and relax in his free time. He just wishes he had more of it! 4.50" x 3.50" x 1.38"
4.25" x 2.50" x 0.75"